When her son was born a few years ago, Manzura Sultanova anticipated he would likely leave for Russia upon reaching adulthood, as many men do in Tajikistan. Preparing for that eventuality, Sultanova bucked a trend increasingly adopted by officials in Tajikistan and decided to keep the Slavic “ov" ending in Muhammadjon’s surname, as written on his birth certificate. She figured he might have an easier time fitting in that way. While a Slavic-sounding surname may ease the challenges faced by a labor migrant, a far more important factor in making a smooth transition is knowledge of the Russian language. For many migrants from Tajikistan, a poor command of Russian stymies ambitions, limits job prospects and opens the way to exploitation. 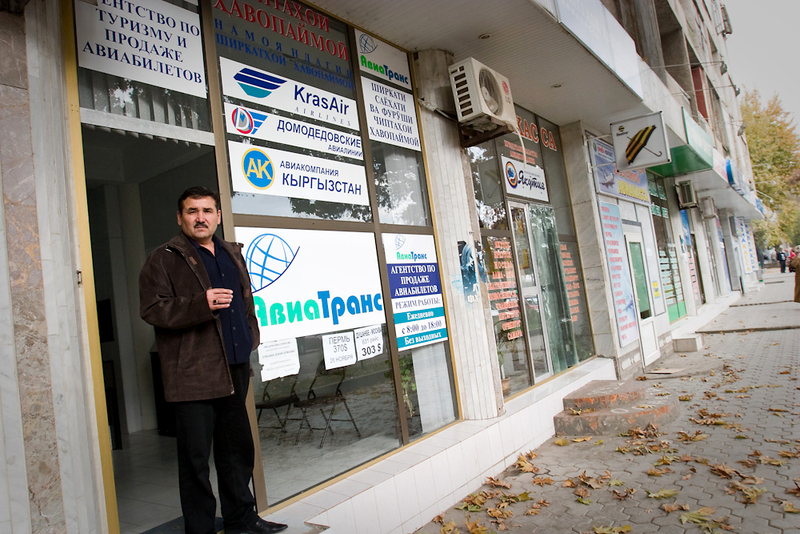 “The main thing is for Tajiks to learn Russian, so that life as migrants will not be too hard. From this perspective, Russian is a must for Tajikistan,” said Dushanbe-based political analyst Parviz Mullojanov. President Emomali Rahmon may have had that in mind in 2013, when he asked Moscow to provide Tajikistan with mountains of Russian language manuals and an army of language teachers – one apiece for 4,000 middle schools. Instructors would be provided pay and accommodation, Rahmon promised at the time. So far, that appeal remains unfulfilled and the prospects look remote. Matters have become more complicated since the start of 2015, when Russian authorities introduced a language requirement for foreigners applying for work permits and visas. Migration figures illustrate vividly the importance of Russia to Tajikistan. Roughly half of the Tajik economy is built on the wages earned by labor migrants abroad and sent back home to family members. One Tajik official has estimated that more than 80 percent of the country’s able-bodied population works abroad, mostly in Russia. Russian Federal Migration Service data from August show that at least 1 million Tajik citizens are known to be residing in the country. An unknown number live there unregistered. By far the largest proportion of those migrants is in the 18-29 age group, a generation educated in a crumbling post-Soviet school system in which quality Russian language instruction has largely vanished. Persuading large numbers of Russians to come to Tajikistan to teach their native tongue is unlikely to happen, Mullojanov said. “There would need to be some kind of adequate monetary compensation, and people would have to be offered suitable conditions. Doing that would be very difficult,” he said. Vladislav Kurnushko, head of the Tajikistan office of the Russian government’s international development agency Rossotrudnichestvo, said retraining local Russian language and literature teachers would be enough to mitigate the immediate problem created by the lack of instructors. In addition, more teachers are currently being trained with funds provided under a bilateral government agreement to the Russian-Tajik Slavonic University in Dushanbe, Kurnushko said. Kurnushko said there are also three branch campuses of Russian universities offering teacher-training and long-distance language courses provided by the Pushkin State Russian Language Institute. Tajik universities should also work to expand distance-learning opportunities, Kurnushko said. Russian government efforts to boost linguistic and cultural awareness among migrants have sometimes proven clumsy and insensitive, highlighting the need for the learning process to begin much earlier. A textbook created in 2013 under the auspices of Russia’s Federal Migration Service included practice conversations preparing students for the eventuality of arrest or having to bribe police officers. Aspiring Tajik migrant laborers now face intensified competition from their counterparts in Kyrgyzstan, which has just joined the Moscow-led Eurasian Economic Union. Accession to the bloc has broken down bureaucratic barriers for Kyrgyz workers going to Russia – an advantage that Tajiks do not yet enjoy. Petrushkov said that by increasing its educational reach Moscow could stand to gain more than just cheap labor.